Here at EBL, we’ve discussed how difficult it is to figure out what nutrition advice to follow, especially when there’s so much health and nutrition advice in the media that refers to anecdotes and simplistic inferences from single studies. For those looking for real evidence about what to eat, there’s some good news. The federal government has issued new dietary guidelines based on an extensive evidence-based review. The U.S. Departments of Agriculture and Health and Human Services appointed 13 nationally-recognized experts in nutrition and health to review the scientific literature on how nutrition impacts health and disease prevention. The experts worked with a new resource – USDA’s Nutrition Evidence Library, a clearinghouse of systematic reviews designed to inform federal nutrition policy. (You can read more about the process the panel used to create the new nutrition guidelines by clicking here.) The library employs post-graduate level researchers with experience in nutrition or public health to build its content. The researchers analyze peer-reviewed articles to build bodies of evidence, develop conclusion statements and describe research recommendations. It’s an EBL dream! So what do the new guidelines recommend? Focus on consuming nutrient-dense foods and beverages. Reduce daily sodium intake to less than 2,300 milligrams (about 1 teaspoon). Limit the consumption of foods that contain refined grains, especially refined grain foods that contain solid fats, added sugars and sodium. 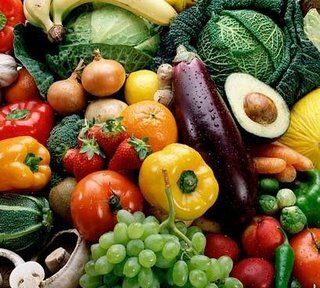 Eat a variety of vegetables, especially dark-green and red and orange vegetables, and beans and peas. As you can imagine, the EBL team is thrilled that the government is using systematic reviews to make national diet recommendations. They’re worth reading to see if you can improve your own diet. Even small changes can make a big difference when you consider the evidence.